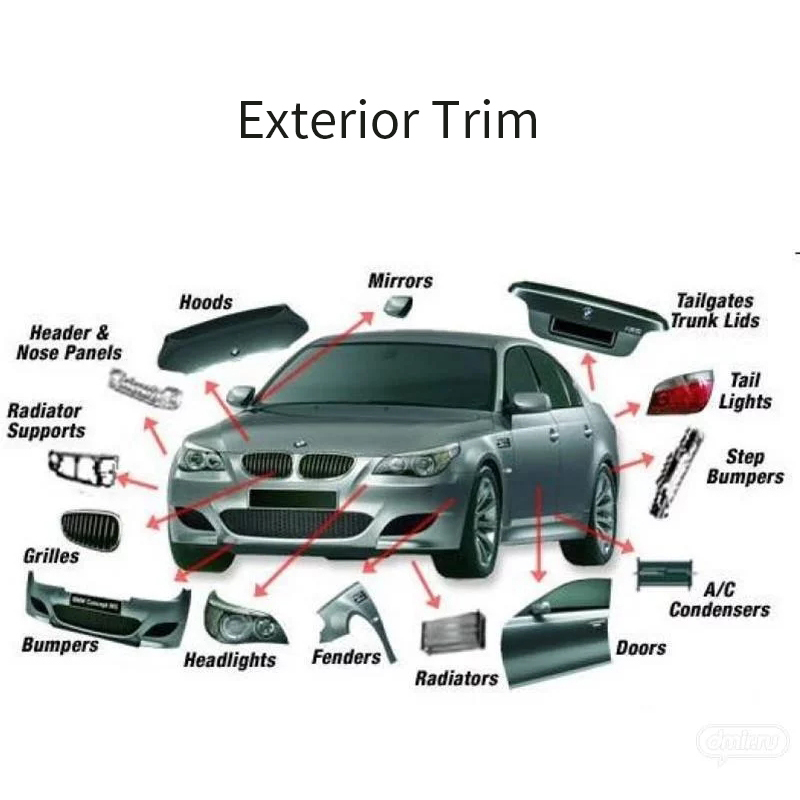 Product categories of Exterior Trim Parts, we are specialized manufacturers from China, Exterior Trim Parts, Car Logo suppliers/factory, wholesale high-quality products of Front Bumper R & D and manufacturing, we have the perfect after-sales service and technical support. Look forward to your cooperation! At present, the most commonly used exterior materials are: PP, ABS, ASA, POM, PA, PC, PE, etc., but specific to each auto part of the materials used are different. Car exterior decoration is without changing the function and structure of the car, the premise, by adding or refitting before and after the bumper, large siege, diversion plate and other accessories to change the appearance of the car, so that the car more beautiful and stylish to meet people's aesthetic and personalized needs. Mainly include: Automotive solar film decoration, Car Body film, the installation of large body siege, flow plate and spoiler decoration; skylight decoration, lamp decoration, car bottom decoration, other exterior trim auto parts (wheel cover, wheel arc decoration, eyeliner decoration, addition of flagpole lamp, car shelf, spare tire cover, anti-collision bar, decorative strip): Used in car body protective strips, Increase the body side of the aesthetic, and the body radian height consistent, durable not deformed. At the same time, the door switch is easy to bump the body paint to provide effective protection.